The LS27 features a Subaru SP210 engine. It’s shipped with the 4.5 gallon hydraulic system filled with Dexron III rated Automatic Transmission Fluid, which provides ease of operation on components in cold weather conditions. Storing the LS27 is easy and compact with the fold up trailer hitch. It features a 30 inch bed height, giving the user a comfortable operating position, while decreasing physical effort and maximizing efficiency. 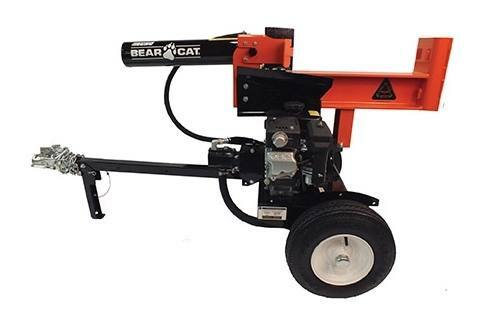 It can be used in the horizontal or vertical positions and features an Engine Guard Plate and Log Stripper Plate as standard equipment. The wide end plate increases stability when operating in the vertical position. 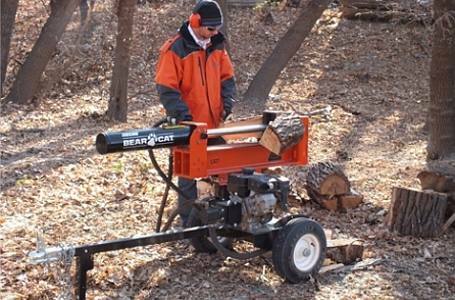 The LS27 model comes available with a range of options and kits to design a custom machine to fit consumer needs. 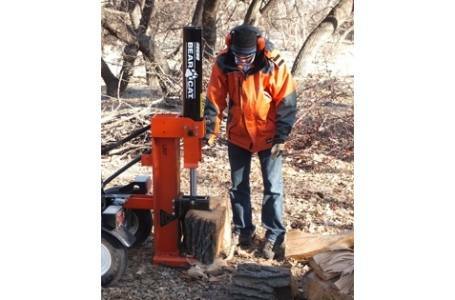 The Log Splitter Cradle Kit stables larger logs when placed on the bed, increasing safety and productivity. The Quick Split Kit allows the operator to set the retracking distance of the wedge, saving time and increasing productivity. Other kits include a Fenders and Lights Kit and 4-Way Splitting Wedge Kit.